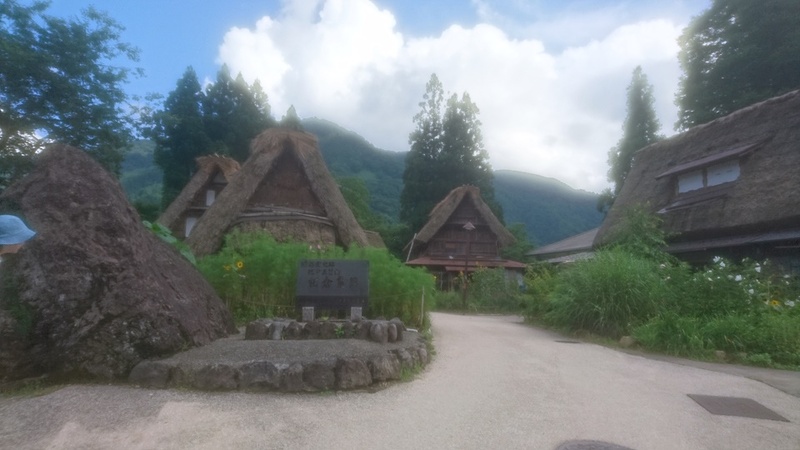 In December 1995, three vilages of gassho-style houses were inscribed on the World Heritage List, Shirakawa-go in Gifu Prefecture and Suganuma and Ainokura in the Gokayama region of Toyama Prefecture. Aikokura has 20 gassho-style houses. Most of them are 100 to 200 years old, and the oldest is said to have been built some 400 years ago. The gassho roof has a slope of about 60-degrees, forming a nearly equilateral triangle. This steep pitch allows snow to slide off the roof easily. 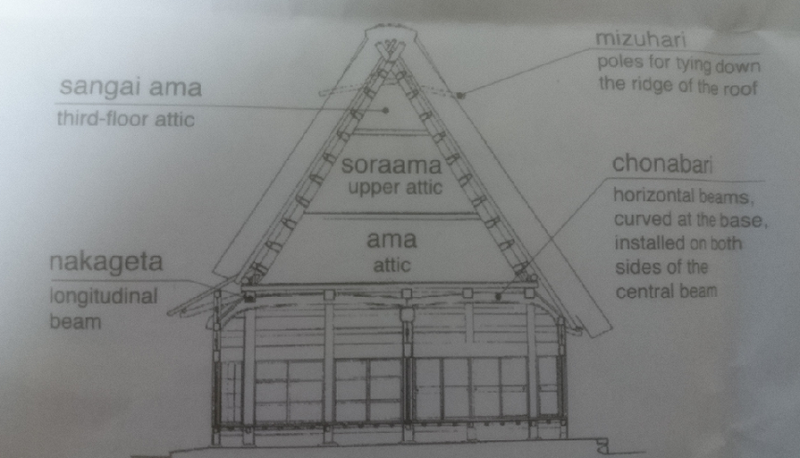 The enormous roof is supported by stout, oak beams called “chonabari,” which are curved at the base. These beams are made from trees that grow on the mountainsides and develop the curve naturally. No nails are used. 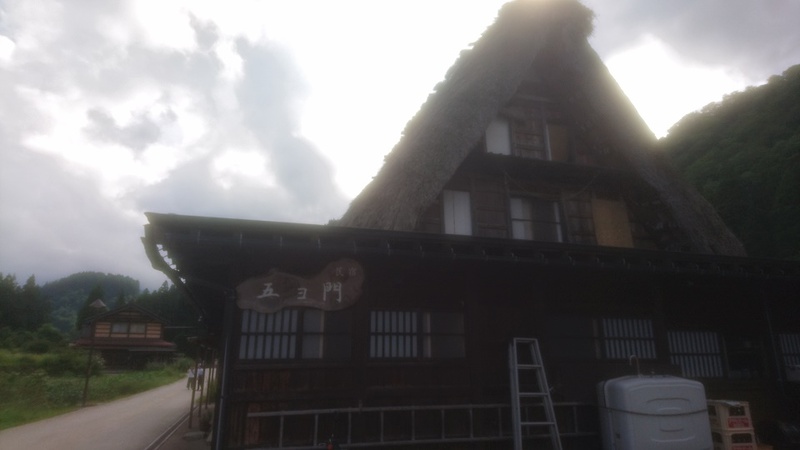 The roof frame is lashed together with rope and twisted hazel bought, called “neso.” The roofs are rethatched every 15 to 20 years. 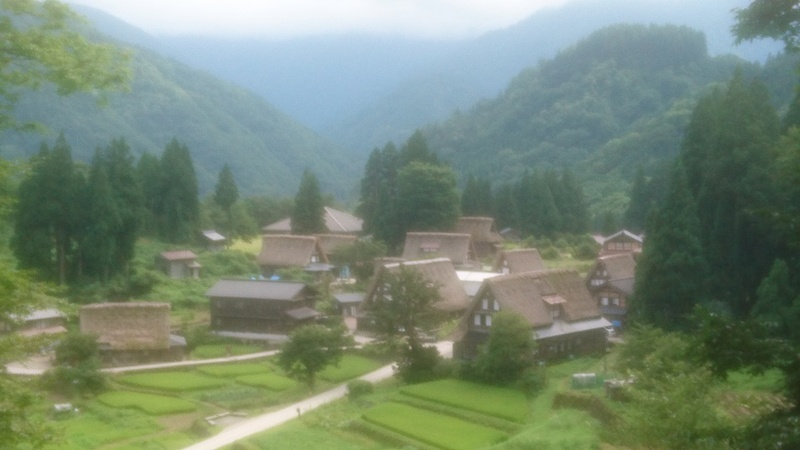 Nowadays this is done by Gokayama Forest Owners’ Cooperative. Architecturally, the gassho-style is very rational, having a strong structural design that enables these houses to survive the harsh conditions created by very deep snow. At the same time, it provides space for living and working. 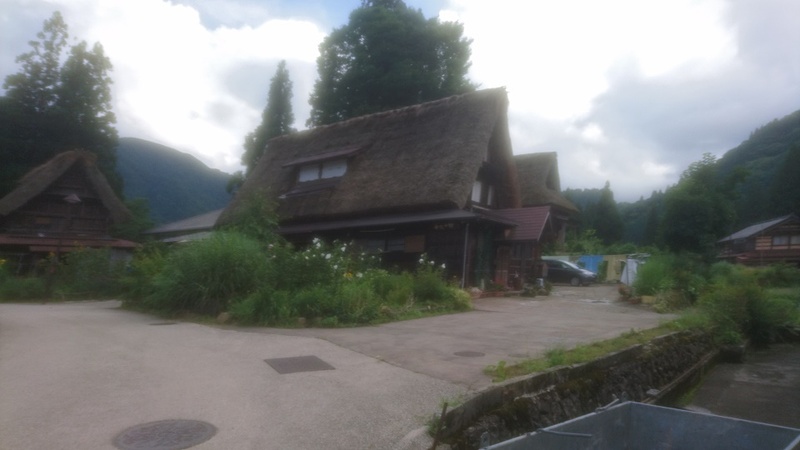 The gassho-style house is a great invention born of human ingenuity. The Imperial Prince Akishino has stayed at the Ainokura inn two times. The first time was in July 1983. 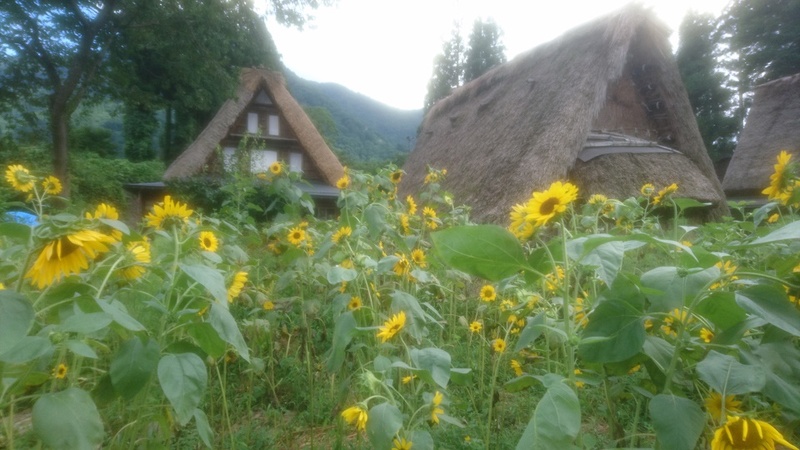 He took part in a summer Geographical Research Training seminar when he was a second year student at Gakushuin High School. 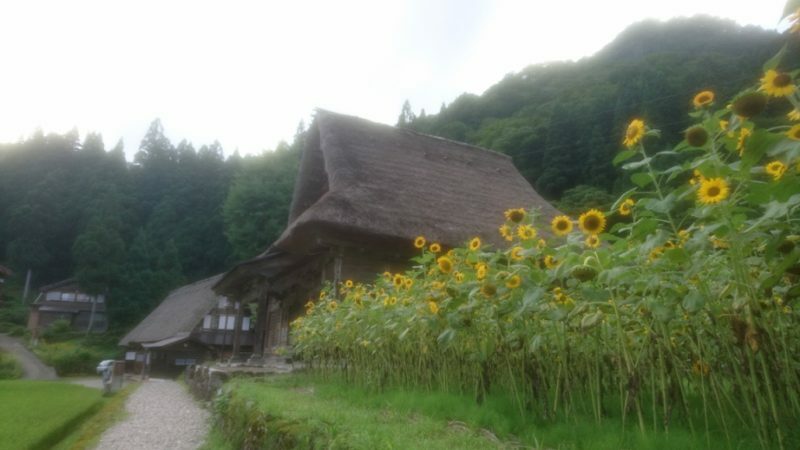 Prince Akishino reportedly said “I have three favorite places in the world. 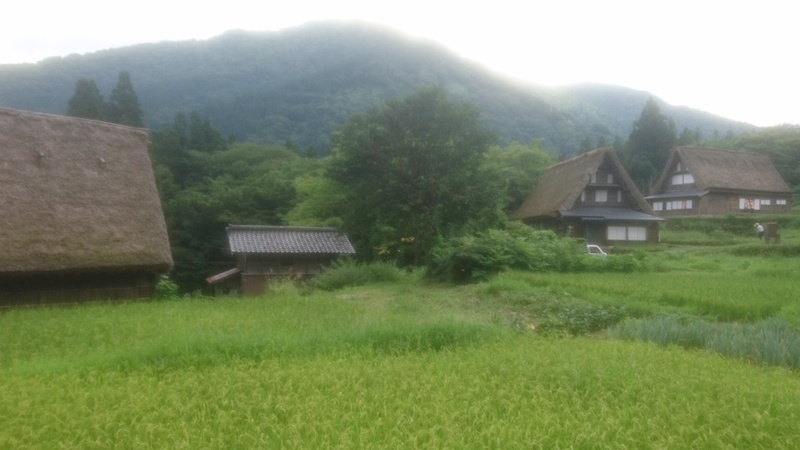 One of them is Gokayama.” while staying at the Ainokura inn.